On August 4, 2005, Natan Zada, 19, boarded an Egged bus at Haifa’s Hamifratz station, picked a seat in the back and rode it into Shafa ‘Amr, a mixed Druze, Muslim and Christian town in the heart of the Arab Galilee. Zada wore his Israel Defense Forces uniform and, as prescribed, carried with him his military-issued M-16 assault rifle, magazine primed in the slot. On any given day, Israel’s public transport system brims with young men like him, shuttling to and from military bases across the Israeli coastal plain and the occupied Golan Heights and West Bank. On this particular day, however, he was neither returning home nor reporting for duty. At the very least, he inspired Asher Weissgan, 38, from the West Bank settlement of Shvut Rahel, who on August 17 shot dead four West Bank Palestinians with whom he worked in a nearby settlement industrial zone, and wounded two others. The following day Weissgan told the Israeli press he had “no regrets” and that he hoped someone would kill Sharon. The Israeli premier dutifully condemned the attack as an “exceptionally grave Jewish act of terror,” and “instructed the security establishment to deal harshly with all attempts to harm innocent people,” Israel Radio reported. In contrast to Zada’s attack, Weissgan’s crime garnered few headlines in Israel, and none in the international media, which was otherwise disengaged in Gaza. BBC World evening news showed the way by appending a one-line mention of the attack to a ten-minute panorama of tearful Gaza settlers jostling with Israeli soldiers. That their lives are cheap came as no news to Palestinians in the Occupied Territories. To Israel’s Arab citizens, however, Weissgan’s copycat rampage only deepened the sense that their own existence inside Israel is becoming similarly fraught, buffeted by obsessive Israeli demographic debates and hateful denigrations by senior politicians that reached a fever pitch in the run-up to disengagement, and in which “Israeli Arabs” figure as a national threat no less than their kin across the Green Line. In this respect, the government and media’s voluminous response to Zada’s attack did much less to reassure them than remind them of how warped is the “fabric of relations” in which they are entangled. The day after, Hebrew and English tabloids carried front-page pictures of Zada and his bruised corpse. Papers excavated the human story behind the killer and incessantly interviewed his stricken family—an interest they could not arouse for any of his victims. While framed by a wall-to-wall display of solemn condemnation that even recruited Israeli settler representatives for full, if also surreal effect, the coverage served only to remind Arab citizens that they are marginal in Israeli society in ways that even a Jewish extremist like Zada could never be. The contrast with the media’s parallel presentation of disengagement as a national trauma uniting Jewish settlers and soldiers in a pastiche of grief was stark. Like Zada’s attack, such media coverage sharpened the question of just where Israel’s Arab citizens belong. What was most disquieting about his rampage was that it enacted a belief that they are as much enemies of their state as the Palestinians in the Occupied Territories—a presumption that Zada is far from alone in making, as the coverage infallibly demonstrated. Once the full story emerged, editorials and TV commentators predicted inevitable riots, muscularly anticipated by their government. In preparation for the funerals of Zada’s victims, Reuters reported, “Thousands of Israeli police were called to the north after alerts of potential riots,” ominously recalling that “forces shot dead 13 Israeli Arabs in October 2000 when they tried to quell a rally in support of a Palestinian uprising that had grown violent.” Such references to the “October Riots,” as they are known to most Israeli Jews, were ubiquitous in the press. Palestinian citizens of Israel had already registered the echo of an event they saw very differently—a debacle during which they had been open targets of a rhetoric and treatment akin to that meted out across the border. The press, however, was already busy working the transformation. As I‘lam observed, on the night of the attack, Channel 2 broadcast only one picture from the scene: the picture of the “angry mob.” It lingered in the ether well into the night, explicated by comments like “the mob is still angry,” and signified by incessant references to the “riots” of October 2000. According to the version of the latter events then enshrined by the media, they were carried out by an armed Arab “mob” seeking to invade neighboring Jewish communities, egged on by the local Arab leadership. Evidence presented to a subsequent government-appointed inquiry, the Or Commission, showed this narrative to be patently false. Yet the myth prevailed, and it was now readily redeployed. Relentlessly interpolating “Israeli Arabs” as violent, irrational and easily “incited” pathogens within the body politic, the effect, as in the aftermath of October 2000, was to pre-position them not as an aggrieved and threatened community but as a riot-in-the-making and to license, if necessary, their violent suppression. As Palestinian citizens mourned their dead, they were reminded that there might be more if they did not mourn quietly and that, as in 2000, those killed or executed would only have themselves to blame. These were carefully cultivated echoes of the lynching of two Israeli soldiers who had mysteriously become “lost” in Ramallah during the bloodiest phase of the Israeli army’s counterinsurgency in October 2000, so linking “Israeli Arab” behavior to that of the Palestinian enemy at large. Israelis didn’t fail to pick up on this. “Who knows what happened to him?” one neighbor of Zada’s family told the press. “Maybe the lynching of the soldiers in Ramallah affected him.” That the Israeli journalist dismissed this as a “delusional theory” did nothing to dampen the atmospheric resonance. The outrage was critically amplified by the fact that Zada was killed after the local police had boarded the bus and taken him into custody, effectively turning the affair into an Arab assault on Jewish authority. Sharon soon ordered a full investigation into the matter, stressing that everyone would be held accountable. As a few Jewish commentators observed, however, a bit of investigative vigilance would have been in order well before August 4. The attack was, as peace activist Uri Avnery commented, “a massacre foretold.” Zada was on an alert list maintained by the General Security Services (Shin Bet), was a known Kach member, and had done at least one reconnaissance tour on the bus in which he would stage his attack. He had also deserted the army with his gun in hand. “The murderer himself was arrested several times in the course of extreme right-wing activities in the past,” noted Avnery. “And why didn’t the army act, in spite of the fact that the commanders of the murderer knew that he had deserted in protest against the disengagement, taking his rifle with him? Indeed, his mother, who foresaw what was coming, bombarded the army with requests to find him and take the weapon away from him.” What no commentator reflected on, however, was the fact that if Zada had known that his was indeed a country where “the law is properly enforced,” he might not have extinguished four lives. From firsthand accounts it is possible to reconstruct the trail of events on August 4. As the bus entered a Druze neighborhood of Shafa ‘Amr and pulled up at a stop, Zada went to the front, leveled his M-16 at the Arab driver, Michel Bahous, 56, and shot him. He then moved down the aisles, firing in short bursts at the dozen passengers cowering in the back. One rider managed to jump out the open door. Zada killed Nadir Hayak, 55, and sisters Hazar and Dina Turki, aged 23 and 21 respectively, but ran out of bullets with the barrel leveled at the head of a pleading young woman. As he fumbled to change his clip, she shoved him. Other passengers saw their chance and rushed the assailant. They were immediately joined by Husam al-‘Ayan, an armed Druze security guard who was driving in his car behind the bus, and boarded through the open door. For five minutes the other men wrestled with and beat Zada, who clung to his weapon, according to al-‘Ayan. He was effectively under citizens’ arrest by the time a few policemen arrived to handcuff him. A mobile phone camera recording broadcast on Israeli TV showed that Zada was still alive at this time. Soon enough, however, a growing crowd overpowered the police and what remained of Zada’s life was beaten out of him. The most poignant comparison, however, evaded even Hass. In 1984, in what came to be known as the “Bus 300 Affair,” operatives from the Shin Bet—the same agency charged with investigating the killing of Zada—stormed an Egged bus hijacked by four Palestinian militants from Gaza. Two gunmen and a passenger were killed. The two remaining Palestinians were removed in handcuffs, as captured on film by Israeli journalists, and were soon executed on the orders of the agency’s director, Avraham Shalom. The government claimed they died on the way to hospital. Despite a lengthy and murky state investigation involving internal disciplinary hearings, no was ever jailed over the killings. When the attorney general threatened to indict the involved, he was sacked. To forestall any other legal challenges, Israeli President Chaim Herzog awarded the Shin Bet agents an amnesty in 1986, a decision subsequently backed by the Supreme Court. Ten years later, on his retirement from the Shin Bet, Ehud Yatom admitted to an Israeli newspaper that he had crushed his two captives’ skulls with a stone, adding that such extrajudicial killings were routine during Shin Bet operations. Yatom’s handiness did not much impede his career. In June 2001, Ariel Sharon sought to appoint him as a special “counter-terrorism” advisor but was forced to back down after the courts intervened. Today Yatom is a member of the Knesset for Sharon’s Likud party. Such stories are familiar to Israel’s Palestinian citizens. As one witness to the attack told the Jerusalem Post: “If this attack had occurred in a Jewish neighborhood and the attacker was Arab, he would have been killed immediately. The police came and they didn’t do anything!” It was notable that al-‘Ayan himself had not used his gun, as he was trained to do against terrorists, and despite the fact that when he boarded the bus, Zada was still clutching his M-16. Al-‘Ayan is employed as a security guard by the Israeli government, serves in its armed forces and, in the absence of the police, boarded the bus as the state’s emissary. But the idea of an Arab killing a Jew, even when the Arab is defending life and the Jew threatening it, was too forbidding. Al-‘Ayan’s caution doubtless underscored to the local crowd that the arrival of the police meant not that Zada would be delivered unto justice, but that justice would be snatched from his victims. Told that he had treated them all as just Arabs, they returned the gesture. Over the ensuing days, it was commonly recounted in the neighborhood that there had been an additional 14 M-16 clips in a bag Zada had carried with him on the bus. Equality before the law was not an issue for the killer alone. Wanting to Believe Zada’s choice of Shafa ‘Amr as the site for his attack exposed awkward ironies in the imagined Arab-Jewish equality in Israel. Though close to Nazareth, the “capital” of Israel’s Arab Palestinian minority and home to many of its most prominent political and cultural figures, Shafa ‘Amr is widely viewed as a “pro-Israeli” Arab town by the government and praised as such by media commentators. During Israel’s 1948 war of independence its leadership openly cooperated with Jewish forces, with the result that its inhabitants were spared the forced evictions that accompanied the conquest and near-emptying of Arab Palestine, executed with particular brutality in nearby villages like Tantura and Safsaf, where Zionist forces carried out a massacre of the civilian population. Tellingly, Shafa ‘Amr’s mayor served an uninterrupted term from the late 1930s through the 1960s, just after the Israeli government suspended the application of martial law to its Arab minority. Unusually, the present mayor is a member of the Likud. The spoils of such loyalty are evident in a gleaming glass-and-chrome cultural center on the outskirts of town, and in a relative prosperity that, while a pale shadow off the Galilee’s self-consciously “colonizing” Jewish communities, contrasts favorably with the crowded ghetto-like conditions of Arab towns like Nazareth, Acre and Sakhnin. In this arrangement, Shafa ‘Amr’s Druze community, of which Husam al-‘Ayan is a typically upstanding member, occupies a marginally more privileged tier. Like him, its men serve in the Israeli security forces, one of the few employment advantages afforded them over other Arabs in Israel. Yet it is telling that, as a member of a community distinct from Israel’s Jewish citizens, al-‘Ayan’s exemplary conduct during the attack was not highlighted. In reporting by Ha’aretz he was identified only as a “security guard,” from which many readers would infer that he is Jewish. In the Arab mob tableau, he did not fit the picture. Indeed, a day before the expiration of the first deadline set by Sharon for the Shin Bet’s Shafa ‘Amr investigation, al-‘Ayan had not yet been interviewed by a single official, though he was an ideal witness for the state. Though none of Zada’s victims were Druze, his attack in Shafa ‘Amr’s Druze neighborhood opened minor cracks in the community’s relations with the government. Shamil Ibrahim, the owner of a kiosk across the street from where the shooting took place, was among the first Druze locals to board the bus. A lean man with a crew cut, he is also a member of the Israeli army’s crack Golani brigade, with a tour of duty in Lebanon on his record, and had just been called up to serve as part of the army’s disengagement mobilization. The day after the attack, however, he tore up his summons. “After what I saw, I can’t wear this uniform,” he explained with a hard stare. Knowing the importance of the Druze to Israel’s armed forces, Zada’s calculation may indeed have been to provoke precisely this kind of response. But Shamil is in a minority. Ayalan heeded his own call-up order that same week. Despite loud complaints from the police that nine officers had been injured in scuffles with the crowd, officers on the scene relied on local residents for cups of coffee and food as they entered a long standoff with the crowd for control of the bus. In the immediate wake of Zada’s rampage, Israeli flags still fluttered from several houses in Shafa ‘Amr’s Druze neighborhood. Such a sight is rare in Arab towns in Israel, even in less aggrieved circumstances. Many of Shafa ‘Amr’s residents belong to the shrinking segment of Israel’s Arab population still struggling to believe in the “fabric of relations,” tested though they may be by their government. A friend of Shamil’s, Jabbour Jabbour, a local travel agent and the son of Shafa ‘Amr’s Christian deputy mayor, proudly recounted that in the late 1990s he had made national and international news by trying to become the first Arab Israeli steward on El Al airlines. He was declined three times by the hiring board and then took his case public, in what proved to be a major international embarrassment for Israel’s national carrier. Finally vindicated, he became a poster boy for how, purportedly, Arab citizens can combat prejudice within the parameters, and indeed with the help, of Israeli law. Though he never accepted his belated job offer, he feels his case opened the door to a few Arab individuals who later did, but he admits that such victories may still be token. He sustains no illusions in matters such as the Zada attack. “The problem was that people were afraid that if the police took him away he would be judged as crazy and freed after three to five years. He would be released a hero,” he said unhesitatingly. Jabbour’s fears were justified. Zada had acted “in a fit of insanity,” according to a typical Israeli editorial in the wake of the attack. “We will not allow crazy men and terrorists to harm your life here,” echoed Israeli Vice Premier Shimon Peres as he visited the victims’ families two days later. Not incidentally, insanity was also the plea quickly adopted by Asher Weissgan’s lawyer in defense of his client. “A sane and balanced person would not have said what he said,” he argued, prompting the Petah Tikvah Magistrate’s Court to order a psychiatric evaluation. Though calls for Sharon’s head were hardly an aberration among the settler community in the run-up to disengagement, this rationalization found frequent purchase. Allowing Israeli society to selectively distance itself from Zada, the moniker of the Bad Apple from Tapuah (“apple” in Hebrew) rapidly gained currency in the press. Importantly, this pathological subtext also denied any equating of Jewish and Arab terror, Sharon’s condemnations notwithstanding. Zada was a sick human being, but a human being nonetheless. Arabs, by implicit converse, are merely sickly inhuman: unlike Jews, degeneracy is innate in their nature. Such inferences could not but be drawn by Palestinian citizens habitually characterized by Jewish politicians and religious leaders as a disease or vermin. The most frank exponents of such language are the Moledet and Yisrael Beiteinu parties, which campaign openly for the Arab population’s transfer from the country. Moledet sat in a coalition government with Sharon’s Likud from 2001 until 2004 and like Yisrael Beiteinu mines a deep vein of public sympathy. Support for transfer—expulsion—has always been high in Israel and is showing no signs of abating; a 2003 Democracy Index survey shows that 57 percent of Jews support the idea, either as implemented through “incentives” or by force. Not surprisingly, Peres’ assurances to Zada’s victims that “your pain is the pain of the entire State of Israel” were hard for most Palestinian citizens to swallow. As Arab communities across Israel observed a one-day strike, Sheikh Ra’id Salah, the formerly imprisoned head of the Islamic Movement in Israel, echoed the rest of the Arab leadership in his response. “This is not an isolated incident. It is the outcome of the Israeli discriminatory policy against the Arab residents of Israel,” he noted at the Shafa ‘Amr funerals. “Israel officially incites against the Arabs in the country. Senior officials repeatedly state that we are considered a demographic danger, and describe us as cancer cells which should be removed.” State policy reflects such rhetoric, tightly constraining the development of Arab communities through rolling land confiscations, strict limits on new construction, house demolitions, discriminatory social budgeting and encystment by rings of Jewish development. That the Arab minority is socially disadvantaged is widely acknowledged by the Israeli media. As a rule, however, the effects of structural state violence are mystified by references to Arab primitiveness and “anomie.” Redress is at best indefinitely deferred, at worst openly acknowledged as a non-issue for a state whose primary responsibility is to its Jewish citizens. When Israel’s National Insurance Institute published a report five days after Zada’s attack showing that poverty in Israel has reached historic highs, a Ministry of Finance spokesman could accordingly hasten to add that more than two thirds of those poor were Arab and ultra-Orthodox (non-Zionist Jews). Arab leaders who posed the same question after Shafa ‘Amr, however, were quickly intimidated and promptly vilified as agents provocateurs in an overt throwback to Israel’s master narrative of October 2000. In the mandate subsequently laid down for the Or Commission by the government, incitement charges against Arab leaders were prescribed as a fact and the Commission dutifully sustained them in three cases. Resetting the stage after Shafa ‘Amr, the hawkish Jerusalem Post sought to shift the blame even further, complaining: “In its final report that commission chose to place emphasis on the long history of official discrimination against the Arabs rather than on the growing and vociferous identification of the Israeli Arab leadership with Arafat and the PLO.” As documented by the Arab Association for Human Rights in Nazareth, police brutality against Palestinian citizens has continued unabated since October 2000, subject to widespread impunity. Symptomatically, not a single policeman has been prosecuted in connection with the October 2000 shootings, even though strong evidence, pointing inter alia to point-blank executions of protesters, implicated several officers. An official line was drawn belatedly under these events in September 2005, when the Justice Ministry’s investigations unit, Mahash, published a report after five years of mostly inactive inquiries in which it refused to indict a single police officer. But, whereas Israel’s attorney general has argued that incitement by Jewish anti-disengagement protesters, shading into death threats against Sharon, is merely part of lively public debate, Arab leaders who worked Zada’s actions into context were themselves immediately labeled as inciters. With headlines like “Residents’ Restraint and Leaders’ Threats,” the media helped the government shift responsibility for any fallout onto Israel’s Arab leaders. “Most of the media (broadcast and print) did not hesitate to impose the task of ‘calming things down’ on the Arab members of the Knesset,” noted I‘lam. “Channel 1′s Ayala Hason dedicated all of her post-attack interviews with Arab MKs… to this subject.” Editorializing on the center-left, Ha’aretz admonished that “Israel’s political leaders—Jewish and Arab—must work together as seldom before to ensure that, in contrast to the early days of this round of conflict in the fall of 2000, protests and anger in the Israeli Arab community do not explode into bitter violence.” On the right, the Jerusalem Post fulminated against those responsible “five years ago” for “widespread anti-Israel hostilities…in obvious coordination with the eruption of Yasser Arafat’s second murderous intifada in the territories.” Largely, the coverage singled out for censure the very same leaders targeted by the Or Commission as “inciters” and “organizers.” The Jerusalem Post was not above seeing such shadowy forces at work on the bus itself. “It may well be that Zada was killed in a more calculated fashion by extremist elements in what has been one of the most pro-Israel minority cities in Israel,” warned one editorial. The final narrative of Shafa ‘Amr came to rely heavily on the “extremist element.” Its ghost plainly gunned for Palestinian citizens as they grappled with the event. When the crowd sang “Biladi, Biladi,” the Palestinian national anthem, while mourning and protesting at the scene of the attack, TV reporters immediately seized upon this as a “call to extremism,” noted I‘lam. Israeli viewers would have been even more alarmed by the funerals of Zada’s victims. In cars festooned with black antenna strips—contrasting with the orange strips adopted by Israeli Jewish anti-disengagement protesters—more than 10,000 Arabs from Shafa ‘Amr and the surrounding area gathered in town on August 5. Many joined a solemn procession conveying the coffins of sisters Hazar and Dina Turki to their graves, threaded with young men holding aloft a few Palestinian flags and shouting slogans like “With our blood and soul, we will sacrifice for you, o martyr.” Leading the procession, Shafa ‘Amr native and MK Muhammad Baraka spoke to the crowd of Israel’s history of violence against its Arab citizens. Yet in contrast to an Arab minority still struggling to organize dissent within the forbidding parameters laid down by their government, the Jewish “fringe” makes no attempt to “live with them as if nothing has happened.” In the wake of the attack, Jerusalem Post writer Yosef Goell was content to reinvent common Israeli illusions of normalcy. “No segment of Israeli society has condoned this attack, much less cheered it,” he averred. “The contrast between these attitudes and the funerals of Palestinian terrorists is telling. No frenzied thousands are waiting to march with Zada’s coffin, to vow more bloodshed and glorify him as a heroic martyr.” The posturing at Hamas funerals is, however, the preserve of the weak. The militant settlers, one of whom told Ha’aretz at Zada’s funeral that Zada was “a righteous man and did what we are incapable of doing,” launch attacks on Palestinian villages from state-subsidized settlements with only very occasional penalty. Sentiments like those voiced at Zada’s funeral, moreover, are more common than many Israelis would like to admit. A 1987 poll of Jewish youth conducted by the Van Leer Institute showed that one third “supported the ideas of Rabbi Kahane and his [Kach] movement.” A 2001 Haifa University survey found that 20 percent of Israelis would vote for Kach if permitted to do so. Ironically, legalization of the movement is no longer necessary, with Moledet and Yisrael Beiteinu channeling Kahane’s politics into more elliptical and therefore ostensibly permissible agendas. The latitude nevertheless afforded Jewish “extremists” contrasts starkly with the state’s obsessive concerns about Arab militancy, observes Uri Avnery. “The Kach group was officially declared a terrorist organization and outlawed some 12 years ago. This means that anyone belonging to it, supporting it or assisting it with money or in any other way, is legally considered a terrorist…. Indeed, in attempting to distance themselves from Zada, Israeli Jews struggled to compartmentalize a “fringe” movement whose sensibilities increasingly ply the country’s political mainstream and were even rehabilitated by media coverage of the disengagement process. On the Israeli left, some commentators sought to attribute Zada’s action to the zealotry incubated in the country’s settlements. Eliding the quiet repression of Israel’s own Arab citizens, this narrative also contended awkwardly with the fact that in the summer of 2005 no Israelis were at once presented as more human and more sacrificing for their nation and its ideals than these zealots. That settler “activists” had on June 29 tried to stone to death a Palestinian youth by Gaza’s Gush Katif bloc had no bearing on such explications. Nor did a trail of killings in the West Bank—some perpetrated by prominent settler leaders like Pinhas Wallerstein—of which Weissgan’s was only the most recent. Instead, the spectacle of military officials demanding that settler leaders condemn Zada and Weissgan contributed to the re-edification of the “ethical” colonists, and displaced questions about the underlying politics that spawns their project. Chasing away from Zada’s grave “a few children with long side curls and big woolen skullcaps…[is] easier than dismantling Tapuah,” commented Tom Segev in Ha’aretz. In parsing the final ruckus over where Zada would be buried, Segev also noted that, though many settlers and ordinary Israelis might indeed shy away from emulating Zada, theirs would not be a judgment on killing Arabs, as much as the context of such killing. If disengagement is a preemptive maneuver in the demographic battle Israel self-consciously wages against all the Palestinians under its rule, Zada bloodily reminded everyone of its final frontier. Currently demarcated by a combination of disenfranchisement, discrimination and occasionally overt violence, this divide hardened further in Shafa ‘Amr. Unreflective acceptance of Israel’s terms of engagement with its Palestinian and Arab minority allowed most Jewish Israelis to cast Zada’s act as that of a crazed loner, and simultaneously use the opportunity to reinscribe limits to any Arab challenge of these terms. Israeli Palestinian reactions, on the other hand, could not but be filtered through their broader experiences within the threadbare “fabric of relations.” To them, the larger question remains whether Israel is disengaging not just from Gaza and slivers of the West Bank, but also from a future in which Palestinians might have a real and secure place anywhere in their own country. Police arrested three ultra-orthodox men early Sunday after they hung posters of Jewish terrorist Eden Natan Zada in the Arab town of Shfaram, where he killed four Israelis. Zada shot four people dead aboard a bus and was later beaten to death by angry residents who were at the scene. Police are set to request the Acco Magistrates Court extend the remand of the three suspects. Meanwhile, local officials have removed the offensive posters. The 25-year-old suspects are known to be supporters of the far-right, outlawed Kach movement. One is a resident of the West Bank settlement of Tapuach, another lives in Holon and the third suspect is a Canadian citizen. A Kach spokesman said the arrest was based on political motives. Police received a telephone call from one of the residents at about 4:00 a.m., after he complained that three religious men were hanging signs in town. Police investigated the claim and found the men posting signs with Zada's image. 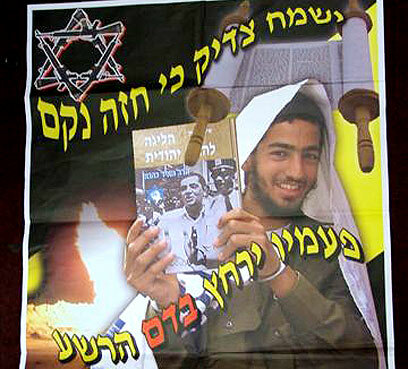 Shafarm Police Chief Yoram Danieli said that in addition to the image, the poster read," Verily there is a reward for the righteous," and claimed that Zada "committed the murder with police approval." Police detained the three, who demonstrated no resistance to the arrest, and took them in for questioning. Local officials, including Shfaram Mayor Orsan Yassin, were called in to remove the posters. Kach Spokesman Itamar Ben-Gvir said Sunday morning that the arrested of the three men was based on political motives. "The central message of the posters is that a public committee to investigate the murder of soldier Eden Zada must be established," he said. "It is still not clear how the boy - who was handcuffed and under police control - was murder, 30 days after the incident. His killers and the police who were supposed to protect him, have not yet been punished." Ben-Gvir added that his fellow Kach supporters plan to hold a rally in Shfaram, in a bid to demand Zada's death be investigated. Shfaram Mayor Orsan Yassin told Ynet he is concerned about the possibility of an additional right-wing activist operating in town. "I don't want anymore people harmed. Four residents have already been killed, and this situation cannot continue," he said. "On the other hand, should residents catch any of these people, it would not end well. Luckily the police caught them, but we have to find a solution." IDF increases presence in West Bank Following terror attack on Palestinian workers in West bank settlement, IDF increases presence in Judea and Samaria; Jewish gunman kills four Palestinian laborers in Shilo; assailant wrested weapon away from security guard before firing at Palestinians. The IDF is to increase its presence in the West Bank, following fears of revenge attacks by Palestinians. Troops are trying to prevent friction between settlers and Palestinians in nearby villages. Four Palestinians were murdered Wednesday afternoon and another sustained moderate injuries in the West Bank settlement of Shilo, after a settler opened fire on the vehicle they were traveling in. The Palestinians killed were identified as 45-year-old father of six Muhammad Mansur, from the village of Kfar Kalil, near Nablus, Basam Awani, from the village of Sanjal, near Ramallah, Halil Walawil of Qalqilya and Osama Musa Tawafsha, 33, also from Sanjal. The killer was identified as 40-year-old Asher Weissgan, a father of two who works as a driver.He was taken in for questioning by the police and Shin Bet. Defense establishment officials claim they had not received prior information indicating Weissgan's intention to carry out a terror attack. An initial investigation revealed the terrorist, who is a resident of the West Bank settlement of Shvut Rachel, approached a security guard at the entrance to Shilo and asked for a glass of water, before wresting away the guard’s weapon. At around 5 p.m., the attacker fired at a group of Palestinians at the community’s entrance, hitting four people. However, the assailant was not done there and continued to Shilo’s industrial zone, where he opened fire again, hitting another Palestinian. A short time later, the settlement’s chief of security captured the terrorist and handed him over to authorities, as large rescue forces were dispatched to the scene. 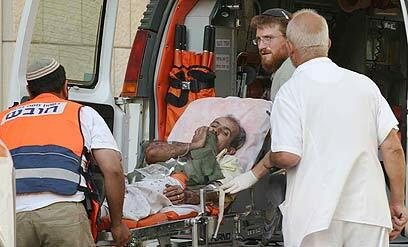 Meanwhile, MDA spokesman Hagai Shmueli told Ynet the injured were taken to Jerusalem's Hadaasah Ein-Kerem hospital. Hamas threatened to avenge the shooting, which is seen as an attempt to disrupt the Israeli withdrawal from the Gaza Strip. "This crime is not going to pass without tough punishment," Hamas spokesman Mushir al-Masri said. However, he said Hamas also has an interest in seeing the Gaza withdrawal proceed, suggesting Hamas might not act immediately. The Yesha Council condemned the Shilo shooting attack and issued a statement saying, "A murder is a murder." "We are deeply saddened that during such a sensitive and difficult time for our nation, when people are being expelled from their homes, the weak find an outlet for their emotions with such a crazy act," the statement said. “The settler leaders must condemn this act. This cannot become a routine event,” he said. About two weeks ago, Jewish terrorist Eden Natan Zada murdered four Israelis aboard the Arab town of Shfaram. Before the pullout, security officials were concerned about the prospect of far right attacks on Arabs aimed at thwarting the disengagement. Some of the policemen who had shielded the Jewish terrorist, Eden Natan Zada, from an angry mob in Shfaram immediately after he had killed four people on a bus driving through the Arab city on Thursday, stepped off the vehicle, which enabled several people to board the bus and beat him to death. This scenario emerged from a reconstruction of the incident with Shfaram residents, defense forces and bus passengers. At 5:05 P.M. on Thursday, Egged bus No. 165 to Shraram left Haifa's Lev Hamifratz station, where the Jewish terrorist Eden Natan Zada apparently got on. "The religious Jewish soldier was on the bus, sitting in the back," Abtihaj Salame, who boarded the bus at the Kiryat Ata junction, said. "Everyone thought he would get off before Shfaram, but he remained seated when the bus reached the city's entrance." Another passenger, Khail Janahawi, recalled that at 5:35 P.M., the driver asked the soldier to come to the front of the bus, but he ignored the request. "When we reached Shfaram's Druze neighborhood, the soldier rose and walked to the front door, as though he wanted to get off. The door opened, and then he turned around and started shooting," Salame said. Badia Sha'aban was sitting in the back part of the bus when the attack took place. "I didn't know what was happening," she said. "I heard shots and screams, and lay between the seats. The soldier approached me, placed the barrel on my head and pulled the trigger. I closed my eyes and saw the end, but there were no bullets left. He started changing magazines, but I pushed him, and two others jumped on him and stopped him." A member of the security forces who was driving behind the bus in his car, said: "I cocked my rifle and started running. I reached the back door, entered the bus with two others, and saw the terrorist aim his rifle at the head of a young woman, while he was trying to change magazines. We jumped on him. I held my rifle to his head, and told him to drop the gun. Hundreds of people crowded outside the bus. I held him tightly for a few minutes, and two policemen arrived. One of them handcuffed him, and I turned to the front of the bus to see what was happening. Four people including the driver were lying motionless there." The man said that as soon as the terrorist was overcome, "many people boarded the bus - mainly youngsters. The commotion was great. Within minutes, the bus was bursting with people and surrounded by an angry crowd, whose rage increased when it transpired that the shooter was a Jewish soldier." Shfaram policemen reached the bus. One officer said Natan Zada was badly beaten but still alive. Channel 10 broadcast video clips yesterday confirming that the terrorist was alive after the shooting. Naatan Zada is seen walking in the bus bound. A few youngsters are seen bursting into the bus, while at least two policemen were inside it. At 5:40 P.M. the telephone in Shfaram's emergency center rang. "We were flooded with calls reporting massive shooting on a bus," M'houl, a paramedic, said. Five minutes later, M'houl was on the bus. "I got in through the front door. The driver was slumped in his seat lifeless. Another passenger behind him was dead. Two women sat in the other front seat, one was lifeless and the other unconscious, but breathing. We started resuscitating her. I saw a commotion in the back of the bus. I did not know then that a soldier had done the shooting." At 6:06 P.M., the media broadcast the report of the bus attack. Large police forces amassed at the city's entrance. Policemen surrounded Zada in the back of the bus. The crowd would not let them take Zada out with with the bodies. Ambulances came to evacuate the three bodies. Shortly afterward, the crowd removed the bodies from the bus, leaving only Zada and the policemen on board. "I saw his face covered with a black bag, but his legs were moving. I didn't know if he was alive or dead," a youngster said. The police tried to prevent other youngsters from entering the bus under a shower of stones hurled by the crowd. The police tried to drive the bus away, but the crowd would not let them proceed. Some of the policemen left the bus, and many youngsters boarded it and wrestled with the remaining policemen inside. They finally reached Zada and beat him to death. "He's finished," one of them yelled from the window. By 10:20 P.M., religious leaders tried to persuade the crowd to disperse, but in vain. At 10:35 P.M., Zada's body was taken out of the back window into a police car, which drove through the crowd while youngsters threw stones at it. As soon as the terrorist's body was removed, the crowd calmed down and started to disperse. The town began to mourn its dead. Police officials launched Monday morning an inquiry into the Shfaram terror attack, with a particular focus on the lynching of Jewish terrorist Eden Natan Zada and the police’s failure to protect him from the mob surrounding the bus following the shooting. On Thursday, Natan Zada boarded a bus and killed four Israelis in the northern Arab town. During the investigation, police officials will be looking into all aspects of police response and action during the incident. Meanwhile, additional investigations are set to be launched by various arms of the police. The information that emerges during the inquiries will be relayed to top officials in the Northern District, headed by Commander Dan Ronen, on Tuesday. Later, all the inquiries would be used to formulate a comprehensive report on the incident. Meanwhile, the bus where the shooting occurred was taken to the Galilee District police station in the town of Acco (Acre,) where it became an attraction for local residents, who have been flocking to the station to get a glimpse at the bus. The bus is expected to remain at the station until the inquiry into the attack is completed. The IDF is also continuing its investigation into the affair, with a special committee recording the testimonies of various officers who had contact with Zada in recent months. An initial investigation has shown no major faults in the army’s handling of the deserter. However, the inquiry also revealed that at one point Zada was detained by police in the Temple Mount area, where it was discovered he belongs to far right group “Revava.” However, the information was relayed to the appropriate parties. The information would have not necessarily led to the soldiers arrest, the army said, but could have served as a warning sign. As if the victims' families’ have not suffered enough: The family of Hazar and Dina Turki, killed in Thursday's Shfaram terror attack, received a threatening phone call Saturday by a anonymous caller, saying he would "come to finish the job.” The caller identified himself as a Kfar Tapuach resident, the same settlement where killer Eden Natan Zada had lived for the past two months, and said that he would come to Shfaram with his friends to kill more residents. A close relative, Nabil Saada, told Ynet the victims’ uncle received the call. The family immediately alerted the police after receiving the phone call. “Even if it is a joke, it’s a really bad one,” Saada said. "Our feeling is that the writing is on the wall, and still enough is not being done to stop the radicals that are likely to commit more crimes." “We heard Shimon Peres’ declarations today that the radical right-wingers must have their weapons confiscated, but in the meantime it is only a declaration and we don’t see them turning into actions in the coming days,” he said. The four victims of Thursday’s terror attack were laid to rest in Shfaram Friday, while numerous public figures and Knesset members came to pay their respects on Saturday. Police continue to investigate the incident and five Kfar Tapuach residents have already been arrested on suspicions that they knew of Zada’s intentions and did nothing to prevent the attack. Investigation under way: Police detained three youngsters aged 15-17 in the West Bank settlement of Tapuah Thursday evening in connection with the bus attack in Shfaram, which left four people dead. The three were expected to be brought before a judge Friday and their remand extended. Meanwhile, a publication ban has been imposed on all details related to the police investigation in Tapuah. Notably, the terrorist who carried out the bus attack, Eden Natan Zada from Rishon Lezion, has been living in Tapuah for the past two weeks. Tapuah spokesman Moshe Meirsdof told Ynet: "Once this settlement was considered to be a radical right stronghold, but this hasn't been the case for years. The families here are not radical, but rather, moderate." "Every time they try to taint us and portray us as extremists," he said. 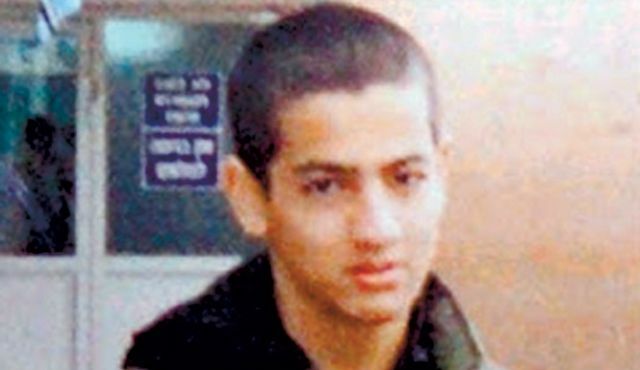 Another Tapuah resident and friend of Natan Zada, Yekutiel Ben-Yaakov, told Ynet Thursday the attacker was “true to his name” – Eden means ‘gentle’ in Hebrew – adding that “he was a gentle person, humble, shy, and one who cared." In Shfaram, residents are mourning the death of the four attack victims, with many locals remaining awake all night and lighting candles in memory of those killed. City Hall Director General Omar Malek told Ynet: "We're in shock and planning how to make it through the day with the funerals and go on living. I hope we get through this. This is an anomaly that only represents the murder himself." "We always believed in coexistence and we'll continue with this despite and because of this incident," he said. "We'll strengthen our belief in coexistence." Prime Minister Ariel Sharon has already instructed the National Insurance Institute and all other relevant bodies to treat the murder in Shfaram as a terror attack. Therefore, bereaved families and the injured would receive the assistance guaranteed by law in such cases. Knesset Chairman Reuven Rivlin (Likud) has meanwhile decided to place the attack on the Knesset's agenda during its upcoming session on Wednesday. Other issues expected to be discussed in the meeting include disengagement under fire, the removal of graves from Gaza, and local corruption levels. The IDF is also looking into the turn of events that led to Thursday's attack and has designated a colonel to investigate the affair. Jewish terrorist Eden Natan Zada, an IDF deserter who refused to take part in a pullout-related mission, left a letter behind saying he was not willing to be part of an organization that expels Jews. Natan Zada, known to police as a member of the outlawed far-right Kach movement and an anti-disengagement activist, left the letter at the basic training base in Nitzanim before going AWOL two months ago with a rifle. Following the attack, many locals gathered around the Natan Zada family home in Rishon Letzion, while Zada's family condemned the IDF, saying the army's treatment of their son's desertion was too slow. Natan Zada’s father, Yitzhak, expressed similar sentiments and said the parents asked the army to take away their son’s weapon. Yekutiel Ben-Yaakov, of the West Bank settlement of Kfar Tapuah and friend of Zada, told Ynet that the attacker was “true to his name” – Eden means ‘gentle’ in Hebrew – adding that “he was a gentle person, humble, shy, and one who cared." During his time of desertion, he telephoned his father, who tried to bring him back to military service. In response, he told his father to "leave him alone," saying, “I’m in Tapuah – don’t look for me.” A local official from Kfar Tapuah, Shmuel Herzliah, told Ynet that Zada was not a permanent resident of the settlement. Four people were killed and at least six others were wounded after army deserter Eden Natan Zada opened fire aboard a bus in the Arab town of Shfaram, in northern Israel. The Higher Arab Follow-up Committee in Israel announced on Friday a general strike and called for public protests against the terrorist attack carried out by an Israel soldier in Shfa-Amr on Thursday evening, killing four Arab residents of Israel, and injuring 15 others. The victims of the attack, which was carried out by a soldier-settler from Tapoah settlement, slated for evacuation, were identified as two sisters, Hazar 23, and Deena Torkey, 21, Nader Hayek, 55, and Michael Bahhouth, 56 years old. Shfa-Amr municipality, representatives of the local and public institutions and representatives of the Jewish, Muslim and Christian faiths met on Thursday at night following the shooting in an attempt to calm the situation down and condemn the attack. Initial reports which were published following the shooting revealed that five bodies were extracted from the bus, but it later appeared that the fifth body belonged to the soldier who carried out the shooting. The Israeli army reported that the attacker, Eden Natan-Zada, 19, recently became religious, and was an army deserter who recently moved from Rishon Letzion to the West Bank settlement of Tapuah. In spite of the fact that Natan-Zada was known to police as a member of the outlawed far-right terrorist Kach movement and active against disengagement, he remained a soldier in the Israel army. Also, the Israeli police arrested on Thursday and Friday three friends of the soldier on suspicion that they knew his plan to attack Arabs. The Israeli radio reported that the three are aged between 15 and 17 years old and residents of Tapuah settlement. Tapuah settlement is well known to the Israeli security as one of the most extreme settlements in the West bank. The settlement is dominated by followers of the US-born terrorist, Meir Kahana, who called for the expulsion of the Arabs from Israel and the Palestinian area. Kahana was assassinated in New York in 1990. Four Arab residents of Israel were killed and at least twelve others were injured, three critically, when an Israeli soldier opened fire aboard a bus in the northern Druze town of Shfa-Amr. Two young women, an elderly man, and the bus driver were victims of the attack, which took place as the Route 165 bus drove inside the Druze town. Magen David Adom Israeli ambulances evacuated the wounded to Rambam Medical Center in Haifa, an Israeli source reported. After the soldier killed the driver the bus rolled down and stopped at the side of the road, an Israeli source reported. After the fatal shooting thousands of youth took to the streets and hurled stones at the Israeli police and an army special unit that arrived at the scene. Israeli police officers surrounded the bus to protect the attacker, but he was reportedly killed by members of the crowd. Former Shfaram Deputy Mayor Khatem Hassoun arrived at the scene shortly after the shooting. Hassoun said that the soldier was a "religious" Jewish soldier. “After the bus reached Sheikh Amid Farid Street, the soldier shot the driver and other passengers on board," Hassoun said. “The bus stopped at the side of the road, while the soldier continued to fire at the passengers". Hassoun slammed the Israeli police for their slow response time. An Israeli security source reported that five policemen were injured during clashes which erupted on the scene following the shooting. The source identified the attacker as Eden Natan-Zada, 19, a resident of the West Bank settlement of Tapoah, and a member of the outlawed Kach Jewish terrorist movement. The Israeli police said that it is probing the attack, including looking into the possibility that the shooting stemmed from an argument between the soldiers and bus passengers. Arab member of Knesset Azmi Bishara (National Democratic Party) described the shooting as a terrorist attack against the Arab residents of Israel. “What was a religious Jew doing on an Arab bus?" Bishara' asked. “This attack must have been well planned by the assailant. I hope this is not another Baruch Goldstein." Arab MK Mohammad Barakeh (Hadash-Ta'al party) said that this was a terrorist attack carried out by a member of the Israeli extreme right wing. “Extreme right-wing people in Israel, terrorists, who want to set the region ablaze, feel free to act in light of the political and judicial establishment, which ignores their threats," Barakeh said.